Schlitz had a market share of about 40% in the 1980s when Stroh took over the brand in my market. I was definitely aware of the quality problems Schlitz was having on a national basis. In spite of those concerns, I felt that at worst Schlitz could maintain a 20% market share. Schlitz had been either the number one or number two bestselling brand for decades, so it seemed only natural to assume that the beer would maintain a reasonable share in the marketplace. When Stroh bought the company, however, support behind Schlitz was eliminated. The rest is history. July 14th of this year marketed the seventh anniversary of InBev’s acquisition of AB, which many in the industry believe marked a shift in the beer business. 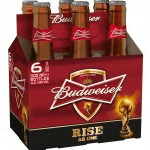 Prior to InBev, the industry’s priority was on market share. Now it is ROI and the bottom line. In these seven years, AB has gone from 107 million bbls. to 96 million bbls. in sales. They have lost over 10 million bbls. in volume. Overall market share has dropped to 44.7% and these trends are continuing in 2015, as the June Nielsen show AB is down -3.1%. During this seven year period, InBev directly made over $2.5 billion in cuts and eliminated over 2,300 jobs. While making these changes their stock went from $70 per share to $129 per share. No doubt the impact of InBev’s actions has produced outstanding financial results for the company and investors. What about the AB distributors? How have they done? Despite the fact that many AB distributors have lost market share, the same group has increased revenues and profits. 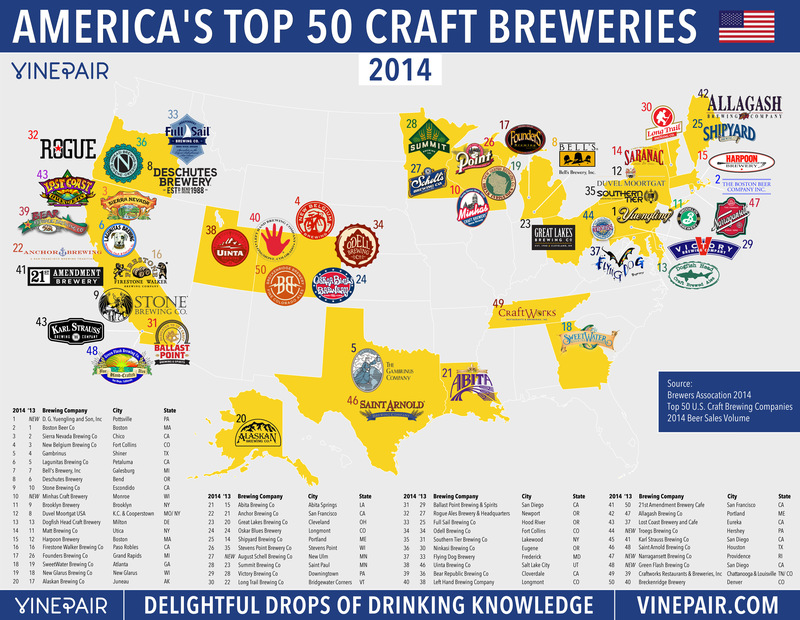 All of this is due to InBev and the expansion of crafts and opening their operations to distribute many of new beers. For both the AB wholesalers and the craft breweries the timing on this availability could not have come at a more fortuitous period. InBev did not follow the footsteps of either Stroh, when they purchased Schlitz, or Alan Bond when he acquired G. Heileman Brewing. Both companies were heavily laden with debt, and as time passed, both collapsed under that weight of their financial woes. Brands of both companies, while still around today, are mostly bolt-ons for wholesalers with very small volume. What is interesting is that in one way InBev’s acquisition parallels both Schlitz and Heileman, in that AB’s volume is dropping, and has since been dropping since InBev acquired the brand. Similarly Schlitz’s and Heileman’s volume dropped when they were acquired by Stroh and Alan Bond, respectively. This, however, is where the similarities end. InBev is a company whose focus is on the bottom line and ROI; it has accomplished what it set out to do, increase the bottom line. In fact, it was able to continue to acquire additional companies, including Modelo. The next seven years will be very interesting to see how ABI performs. In 2022, what will ABI’s market share look like? Who will they purchase during these years? Will their stock continue to perform as well as it has since the acquisition? Sooner or later you have to sell something. Prior to InBev’s take over, AB dominated the market for decades, but when InBev came in, the industry leader looked at the status quo, and it sucked! As a young District Manager in the early 1970s, Lone Star Brewing Co. relocated me to Lubbock, Texas. The market I had been assigned to worked with distributorships in Amarillo, El Paso, Midland/Odessa, San Angelo, Abilene and Wichita Falls. There were also operations in smaller markets including Brownwood, Pecos and Priddy, Texas! The distributor in Brownwood, in addition to selling Lone Star, also sold Miller and Pearl and some smaller brands. This business plan made sense. On the other had in Pecos, which was nothing more than a gas stop on the highway to El Paso in the middle of West Texas, that distributor also sold AB products! Outside of the rest stop, Pecos was known for oil fields, cattle and watermelon fields! That is it! The Pecos wholesaler was a cattle rancher that ran his operation about three days a week. It was a little puzzling how both AB and Lone Star had a distributor here; however, what was really challenging was figuring out why Lone Star had a distributor in Priddy? In Pecos there was one hotel, several miscellaneous buildings, and a couple of restaurants, but Priddy, located a little over 10 miles east of Brownwood, consisted only of a gas station which doubled as a general store. That was the entire town. There was a small barn behind the general store that housed a two bay-beer truck painted with the Lone Star logo and a tractor. The inventory consisted of two pallets of beer! One would think that since Priddy was only 1o miles or so from Brownwood that it would have been in Brownwood’s footprint. That was not the case. It was not long before I learned that all over Texas, especially in south Texas, Lone Star and Pearl had operations in many of these small, rural markets. After World War II, as Lone Star was experiencing rapid growth, the Vice President of Sales was awarding distributorships. As it turns out, the VP was asking $5,000 for rights to sell the beer. He then in turn, purchased Lone Star stock. Soon he was the second largest stockholder in the brewery, only behind the founder and owner, Harry Jersig. While the VP was enhancing his personal wealth and position at the brewery, he was enabling an unintended effective marketing strategy. By establishing small, local breweries in these communities where everyone knew everyone, the locals supported the beer. Lone Star enjoyed great success with this model during the 50s and 60s. 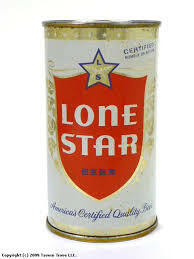 To some degree, the craft beer industry’s success is similar to Lone Star’s success. Breweries in local communities rally and connect while supporting their home-grown brands. Even now, some craft breweries are selling equity to the public. In Madison, Wisc. a three year old brewery, MobCraft, recently took advantage of a new law to raise $67,000 in growth capital from 52 Wisconsin residents, nearly all of them first-time business investors. Only two percent was available for purchase at a minimum investment of $525. Buyers got a detailed, 13 page disclosure documents delineating the company’s history, financial background and growth plans, in addition to a risk analysis as reported in the New York Times. The question becomes: will this model continue to become more and more available to locals? As in any investments, you expect to have fun and make money….. This post begins the fourth year of BeerBusinessUnplugged, and as promised, I would like to comment on what has taken place over the past year. In the last 12 months, the weekly subscribers have continued to increase and readership surpassed 50,000 hits. I have truly enjoyed publishing and hearing back from each of you, including both the positive and the negative comments. Please continue to send recommendations for future topics as such are greatly appreciated. Once again a blog written in the past year became the most read of all time. On November 20th the posting of Hell, I Don’t Live in Texas, I Live in Austin, became the all-time the number one post. This story was about the rise and fall of Lone Star beer and the company’s ties to the redneck rock music scene. The blog posted on January 27th, There is No Higher Value in our Society than Integrity, brought the most responses to any post written over these three years. Each comment was in support of this blog and many had a story about the lack of integrity that had a negative effect on their lives. One of my favorite weeks to post is during the end of the year. It is in this post that I write about a longtime industry person and highlight them for their contribution to the beer industry. R.D. Hubbard was last year’s focus. Dee, known more for the race tracks he owns than for beer, was the former owner of Coors of Kansas during the brand’s hay days of 60%+ market share. I have also included the annual look at last year’s top 10 largest selling brands in the world. 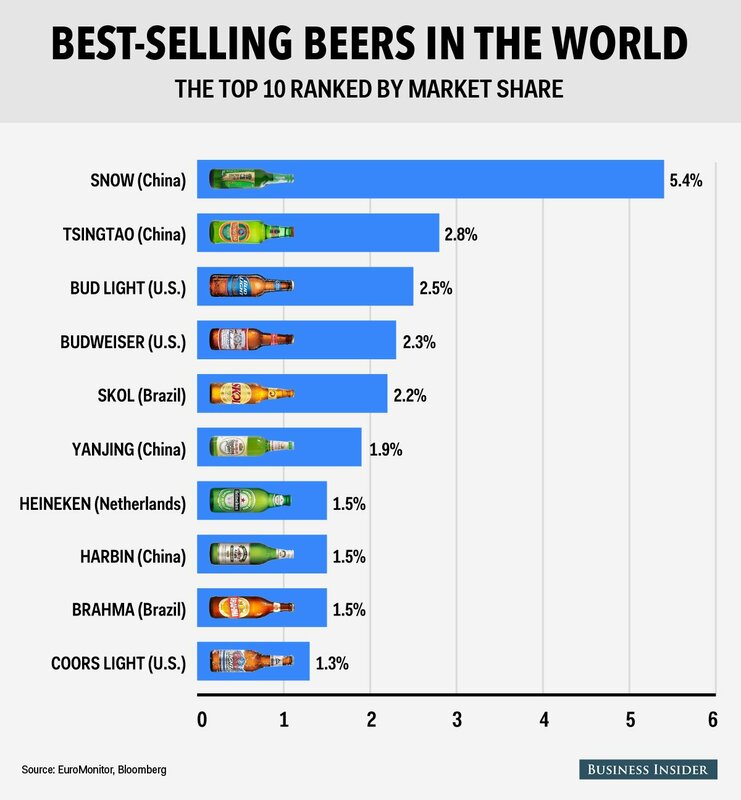 Once again, I highlight the number of Chinese beers in the rankings. Given the size of that country the growth will probably not change anytime soon. 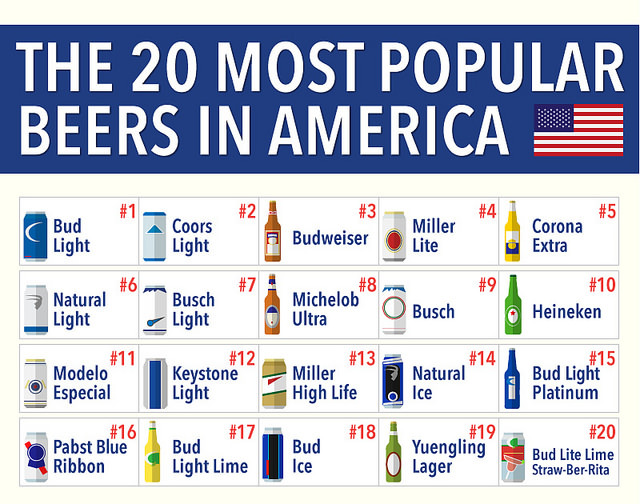 This year I have included the top 20 selling beers in the US. 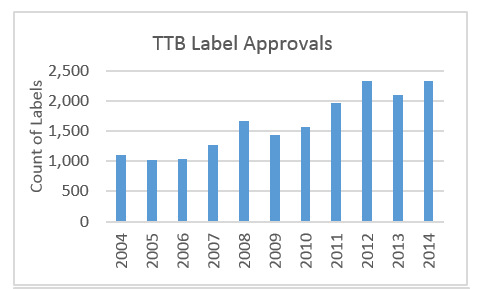 This graph below will give you a picture of the growing trend of new labels, mostly crafts that many of you deal with on a daily basis. This spring, I was an instructor at Portland State University for a number of beer topics including sales, marketing and distribution. I taught 33 students in their school of Business of Craft Brewing. This fall I will be assisting the Alamo Colleges in San Antonio in the development of a series of continuing education classes for craft beers. Please feel free to forward your ideas on various skill sets you believe the school could provide to help educate either new or existing employees. The purpose of this program is to educate a workforce for the craft industry. I look forward to hearing from you in this fourth year and thank you for all your great comments. Happy third anniversary! You can’t try to be authentic. You either are or you aren’t. In 1997, Gambrinus landed the importing rights for the US market to distribute Moosehead Beer from Canada. At the time, Gambrinus handled Modelo only in the eastern part of the US, so the company had to build an infrastructure for the western states. Moosehead was still enjoying some popularity with the younger demographic consumers due to the company’s highly successful 1980’s ad campaign, The Moose is Loose. Gambrinus’ initial positioning effort was to raise frontline pricing and target off premise chain placements in the well next to both Heineken and Corona. This strategy did not surprise those of us in the market having been with Gambrinus for a while, but we all had serious doubts that this direction would work. Sales immediately started dropping, but in spite of this, the corporate office continued holding firm. Finally, we got through to senior management. If the label states the beer is brewed in Canada, imported from Canada, and the beer tastes like a Canadian brewed beer, than it is a pretty good chance it is Canadian. In other words, if it looks like a duck, quacks like a duck and walks like a duck than it is probably a duck. We line priced the beer against Molson and Labatts, and positioned Moosehead in cold boxes next to those same beers. The brand responded, the sales decline reversed, and Gambrinus successfully imported the brand for 10 years. Recently, ABI settled a class action lawsuit over the labeling on Becks beer. 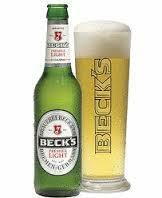 ABI moved production of Becks to the U.S.A. in 2012, but the label indicated it was still from Germany. The settlement ruled that ABI was to refund up to $50 per invoice in addition to paying legal fees close to $3.5 million dollars. ABI also agreed to change the label and the mother carton to indicate that the beer was produced in the U.S.A.
Beer industry consultant, Mike Mazzoni, stated “The word imported is not as important as before,” and to date sales indicate he may be right as Becks is +18.8% in the May 17th IRI data. Becks was also up +7.5% for 2014 in volume, but -4.4% in dollar PPV for the year indicating aggressive pricing. The rapid growth of crafts has beer has altered marketing strategies. By targeting Millenniums, who are the desirable demographics, today’s marketing is largely based on social media outlets. Marketer and industry experts, without exception, will tell you that Millenniums focuses on authenticity first. Authenticity is what makes the local craft scene real. Authenticity is driving the growth of crafts. Without authenticity this generation will not support the product. So the question is: will these young consumers support beers like Becks, Kirin, and even Fosters that were once imported, but are now brewed in the US? Obviously the current sales numbers show they are. There are a number of German beers that are still imported into the US and brewed under the Reinheitsgebot purity law, so there are choices available to these consumers. If the Millennials are truly into authenticity, than only time will tell once they read these labels on the location of brewing. You can’t try to be authentic, you either are or you are not.